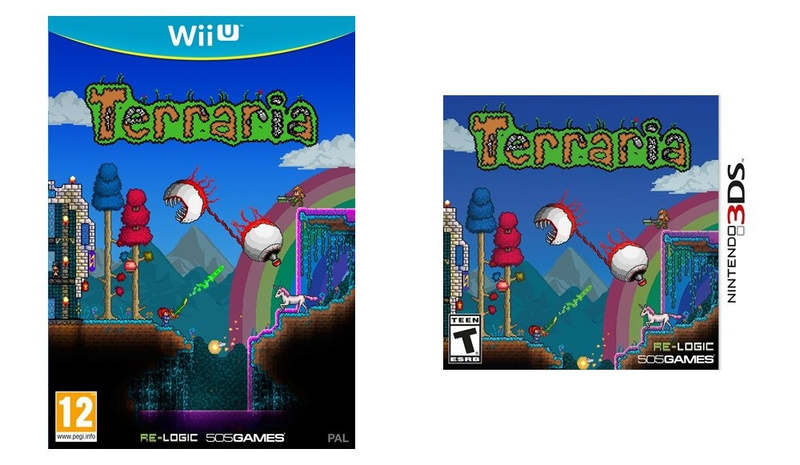 Terraria is on the 3DS eShop already, having arrived in the most recent update. It had been long anticipated, especially by those Nintendo fans seeking a version on the go - the Wii U version hasn't made it out yet. Terraria 3DS includes all the content from 1.2 with the exception of Dyes which are excluded on technical grounds. To make up for that, we've added Minecarts, Fishing and a few 1.3 UI options like the ability to quick stack to a chest. The 3DS version also features a completely overhauled interface, making full use of the two screens. You can cycle the bottom screen between an intuitive touch to build interface; a world map; or as a quick-select inventory bar. It's the most intuitive Terraria has ever been on console, and we've included a few surprises for the Nintendo fanbase. At launch, there is a single world size of 1750×900. You can save up to three Worlds and three Characters per console. This is as large as the original 3DS can handle. We are investigating the possibility of introducing larger worlds as a New 3DS-exclusive feature in future, but for launch we felt it was important to start everyone off on a level playing field. As was previously known, it was reiterated that there's no autostereoscopic 3D, but there is better performance on the New 3DS models; the game runs at 60fps on those systems and 30fps on the original hardware. The developer is also "planning to support both Nintendo versions post-launch", though unsurprisingly has confirmed there'll be no 3DS / Wii U crossplay due to the limits of the world size on the portable. We're still working on our review, in the meantime, but if you've already picked this up on 3DS let us know what you think of it in the comments. I would like some impressions. I feel the price is a bit high especially with all the other games that came out that same day. May wait for a sale because of that. the 3ds version is the only one i have played. despite it being a scaled down version of the game i am still having lots of fun so far. i got both this and steamworld heist last thursday and so far ive spent the vast majority of time with this game. Well who Needs 3D in a 2D-Sidescrolling "Pixel"-Game? Not saying that it's bad, not at all, it's just that nobody Needs the 3DS in such a game. Why not adding an option on Wii U saying "Create a 3DS compatible world for Cross Play"? Hoping your review can clear up any confusions on this game. Nice to see they have their priorities straight. This seems like it'd be a pain to play on a console, though. At least, I can't really picture how they'd comfortably transfer the PC controls to something usable on consoles. I wish Nintendo would patch the Pokemon games so that they run better on New 3DS. Then I would actually try one. "New 3DS has a higher framerate, but no 3D"
Translation: We're too lazy to separate the graphics layers to create a 3D effect on hardware that can handle it. I do need something addictive to play during my upcoming holiday plane flights. I was thinking of waiting for the Wii U version, but I suppose I'll bite and get it tonight. I was hoping they'd do the same deal with the Wii U version as the 3DS. As in, release it on the eShop when it's done and then make a box later on for collectors. Honestly, I wish every game would do that. If I can't have a price break on digital games then I'd at least like to just get it when it is finished instead of waiting for some factory to manufacture a disk (or cartridge, as it were). Too much to ask? I'm so interested in this game bit for life of me I just can't make out what the game is. This game was released in 2011 on steam. I like seeing games on Nintendo but would be nicer to have them released on all systems. I am so torn on getting this... I bought it for PS3 about 2 years ago... Got pretty far but nothing to brag about... Then I got it for PS4 and got VERY far... Hours upon hours into it-- fought all th mechanicals more than 3 times each, fought the PS4 exclusive boss tons of times (mind you you have to craft the thing to summon it which takes a long time alone) and have tons of rare weapons and a massive castle. I know I would play it MUCH more if it were portable so I really want to get this again but wow I do NOT WANT TO START OVER AGAIN... I know I'll break eventually and just get it but I know the first time I fall from a high place and die because I'm used to not taking damage, I'm going to curse myself. Anyone happy with this on 3DS and has played the console versions? As a New 3DS owner I would gladly erase my progress and start a new file if they updated the game to have larger worlds on the N3DS. Waiting for the physical release, though Amazon predicts it will be more expensive. Waiting for Wii U version. The game is very buggy. The music doesn't know what to do half the time, hard mode enemies spawn in some easy mode areas, some people even report having two of the same NPC moving in. The game is very fun, though I love it, despite its flaws. Not that it truly matters, but I find it really awkward when *3D*S games don't have at least some small forms of 3D. Virtue's Last Reward is a great example of a game that doesn't need 3D, has it, but only features it prominently here and there so if you don't want the 3D shut off you can and not worry about it. But ignoring it all together = yucky and rushed and feels like more Ubisoft crap. But half the framerate on original 3DS, does it hinder it at all? Do I really need to wait for the 60fps? The Best Buy I work at had these on sale immediately for 19.99 and even ended up in the discount bin a couple times, possibly by mistake. Holding off on buying until I see what gets added later and HOPEFULLY larger worlds on the New 3DS, you need to take advantage of that one devs. I'm waiting for the Wii U version, but I'm glad they gave the game three options for the bottom screen. Hear only good things about this game. Can't wait to play it on Wii U. If Xbox 360, Xbox One, IOS, and PC were good, I can't wait to see Wii U and 3DS! @Dankykong Retail is out already? Will the Wii U have a retail version available from the start by any chance? @Zoda_Fett I thought I read somewhere the Wii U version will have online, that's one of the reasons I'm waiting. Now that's how you make a quality port! I bought 3 copies of this game last thursday and I can tell you that the controls have been very well adapted to the 3DS (see my comment in the forum for détails). I play in multiplayer with my 2 daughters and we already spent a lot of time playing it this week-end instead of Xenoblade X or Steamworld Heist !!! @ChromXsome Just cause we don't need it doesn't mean we should abandon it, other 2d games used it and it looked great. Shantae ans Shovel Knight both look far nicer in 3d, and some of the Genisis games have the best 3d on the console and its used for 2d games. Also 2d games fit 3d gaming far better because you are always looking at the screen from a fixed perspective. I know absolutely nothing about Terraria, got it for my 3DS, and loving it so far. Some enemies tear me up in 2 hits, and it's hard to gauge if I can handle an area, but it really scratches my "Minecraft on the go" itch. Otherwise it's worth the investment t for sure! So much easier to play on the 3ds than on mobile. And, this is the game that finally got my wife hooked - she's picked up her 2ds again and has been playing with me! 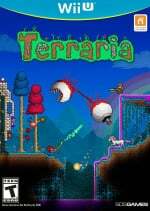 I highly recommend it, Terraria is one of the funnest build/explore games out there, and while the 3ds version is somewhat limited and does have some bugs, it's still incredibly fun- especially multiplayer.